Bob Zimdahl is Professor Emeritus of Weed Science at Colorado State University, USA. He is a Fellow of the Weed Science Society of America, Western Society of Weed Science, American Society of Agronomy, and former Editor of Weed Science. He has published widely on weed science, including the standard text Fundamentals of Weed Science, currently in its fourth edition. Weeds remain a major obstacle to increased yields. Past reliance on herbicides is no longer sufficient with increasing concerns about environmental effects, regulation and resistance. This has led to the development of integrated weed management (IWM) which includes herbicides as part of a broader array of cultural, physical and biological methods of control. This volume reviews key research on the use of IWM in sustainable agriculture. Parts 1 and 2 introduce weed ecology and IWM principles, including surveillance, risk assessment and planning an IWM programme. Part 3 summarises the role of herbicides in IWM whilst Part 4 reviews the range of cultural and physical methods of weed control. The final part of the book surveys biological techniques for weed control. With its eminent editor and international range of expert authors, this will be a standard reference for weed scientists, the agricultural community and the pesticide industry as well as government and non-governmental agencies supporting a more sustainable agriculture. Detailed review of the range of cultural, physical and biological methods of control available for IWM. 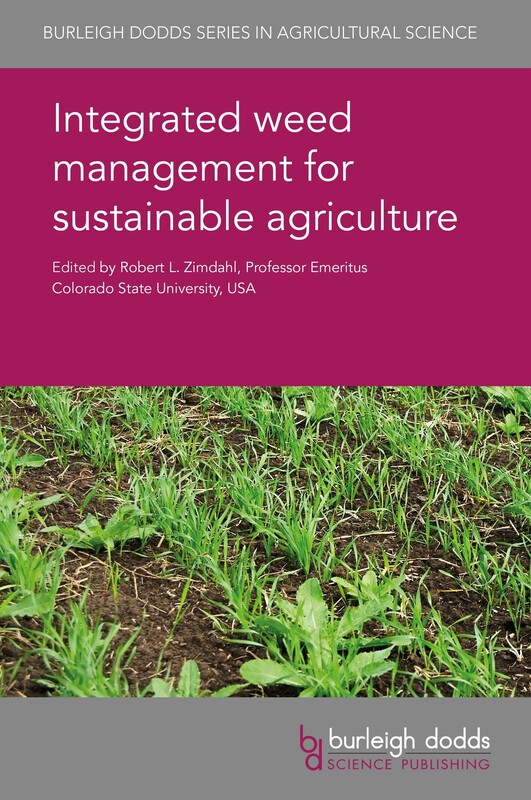 "This is an excellent overview of the latest thinking in weed management, with chapters written by some of the most prominent authorities conducting research today… the book is a valuable addition to the literature, and one that will be widely used as a key reference".